What is the standard payment method for Las Terrazas II? Our development Las Terrazas II is currently under construction. If you are interested in buying an apartment in Las Terrazas II, first you will have to book the unit by paying €6,000 + IGIC. The rest of the amounts until approximately the 50% of the price will be paid during the construction period. Finally, the pending amount will take place in front of the notary when signing the official document called “Escritura”. 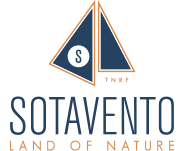 Our membership reassures clients that Sotavento Tenerife is bounded by the professional standards of the AIPP, and its associated disciplinary procedure. And that in the event of a dispute arising that cannot be resolved directly, you as a client could request to invoke the AIPP’s Dispute Resolution Procedure. This is provided as an optional avenue of redress for clients of AIPP members. Although in Sotavento Tenerife we advised to seek comprehensive independent legal advice prior to making an international property purchase. AIPP is a non-governmental, not-for-profit organisation seeking to improve standards of professionalism in the largely unregulated international property industry. The AIPP does not sell property, but it is an association made up of property sellers & associated companies who voluntarily subscribe to the AIPP code of conduct. What is the standard payment method for Las Terrazas? Our development Las Terrazas de Sotavento is currently under construction. If you are interested in buying an apartment in Las Terrazas, first you will have to book the unit by paying €6,000 + IGIC. The rest of the amounts until approximately the 50% of the price will be paid during the construction period. Finally, the pending amount will take place in front of the notary when signing the official document called “Escritura”. What is the standard payment method for VistaRoja? Our development VistaRoja is already completed and ready for delivery. If you are interested in buying an apartment in VistaRoja, first you should book the unit by paying €6,000 + IGIC. The rest of the payment will take place in front of the notary when signing the official document called “Escritura”. The Spanish notary (notario) is a publicly appointed official and very different from a British solicitor. Their job is to take a private contract and, by witnessing it, turn it into a public deed, a document proving to everyone that you are the owner. That makes it quite a prestigious job in the local community. What languages does the Sotavento team speak? Our Sotavento Staff are fluent in Spanish, English, German and Russian. If you speak a different language just drop us an email to info@77.104.166.146 and we will find out the solution. The language will not be a barrier! Does Sotavento offer loans to buy apartments? Neither VistaRoja and Las Terrazas have the called “Developers debt (préstamo promotor)” . This is an indicator of the solvency of our company. However, we work with several reliable and well known financial entities which will study your case and offer you the loan that suit better with your needs. Does Sotavento offer short stay rentals? No, unfortunately Sotavento just offers 4 days inspection trips for those who are looking to buy an apartment in Sotavento. However, there are a lot of agencies offering rentals on behalf of the owners of the properties. Does Sotavento offer inspection trips? Yes! Sotavento offers 4 days inspection trips for direct clients (without agency). The aim of these tester trips is to clarify and know if you like Sotavento. If so, you can also be able to analyze every single aspect of the buying process with our sales department. If finally you decide to buy an apartment in Sotavento, we also offer a refund policy for the tester trip. Please follow this link to find out more about the inspection trips. Do you provide legal and financial advice? Yes! Our sales consultants provide free legal advice in the process of buying a property in Sotavento. Besides, in case of you need a mortgage we refer you to the banks we usually work with.  In the following article of our blog we talk about Grupo Viqueira, the familiar company 100% private equity in charge of the construction, development and management of Sotavento complex. What kind of water sports can be practiced in La Tejita Beach? El Médano Beach and La Tejita Beach are ideal places to practice water sports. The spot is internationally recognized for the practice of Windsurf, Kitesurf, etc. In fact, El Médano beach is frequently chosen to carry out several windsurf championship series. Sotavento residents have special offers and discounts through the water school Sc Tenerife. Check it out! Is there any Golf Courses near Sotavento? Yes! Sotavento is just 10 minutes from the golf course: Golf del Sur, the only 27-hole golf course in the island with excellent Atlantic Ocean views. The Sotavento Neighbors can get advantage of the partnership with Sotavento and get special discounts in Green-fees, Buggies, etc. How much money could I get if I rent an apartment in Sotavento? What Return on Investment can I expect? It depends a lot on the property, views, number of bedrooms, etc. However, we made a simulation with an example of the yield you can get if you buy an apartment in Sotavento and we wrote this article for you. Hope you find it interesting. Which are the costs of maintaining a property in Sotavento? This is obviously a Frequently Asked Question. Therefore we have written an article in our blog where we treat this topic in deep. Which are the taxes and costs of buying a property in Sotavento? Is there any airplanes noise from the taking off and landing? No! The noise won’t bother you at all. Sotavento is neither located in the tale nor in the front of the airport area so the noise is almost inaudible. We invite you to get access to a Noise Strategic Map of the area where Sotavento is located published by AENA and the Ministry of Development. You also have access to the official website where this issue is researched. Are the apartments well acoustically isolated? Yes! Sotavento apartments fully comply with the CTHR normative regulated by the Ministry of Fomento regarding acoustic isolation. Are there any bars in Sotavento or places to have fun? Indeed! Since the opening of the mall there is a wide variety of restaurants and bars in which to spend great nights without leaving the complex. In addition, 5 minutes drive away you can reach the villages of El Medano and Los Abrigos, where plenty of pubs to dance and have fun are waiting for you to go. When will the shopping center be ready and what type of business will be available? La Tejita Street Market opened in December 2015 and has facilities of all kinds, a supermarket, restaurants, hairdressers, pubs, lounge-bar, a pharmacy … You can see the full list on their website. Is the storage room included in the price? The storage room is indeed included in VistaRoja development price. We also have apartments in Las Terrazas development with the storage room included but have a few where it is not included in the price. We recommend you to contact us to check availability. Are the garage included in the price? Yes, the garage is included in the price. When are the current developments going to be finalized? VistaRoja and Las Terrazas are already finalized and ready to live. In Las Terrazas II case, Block 3 is going to be finalized in April 2018 and Block 4 in November 2018. Regarding Las Terrazas II, Block 3 will be completed in April 2018. Construction of block 2 has already begun and will be delivered in April 2019. What is the distance from Sotavento to the beach? From either Las Terrazas or VistaRoja developments to La Tejita Beach are roughly 2-4 minutes walking. In fact, we can say that Sotavento is located in La Tejita Beach.